Look through Kiss Books beautiful photobook options and the details for ordering a beautiful custom book to hold our sessions engagement or wedding photos. First, we select, edit, and then deliver your wedding day or engagement session photos. From these pictures, and with your input, we select the images for your photo book. The number of photos depends on the dimensions and number of spreads you choose. Once selected, your photos undergo advanced editing and are then arranged using the photo book design program to create a chronological, visual narrative of your wedding day. Afterwards, we send your the design for your input, make requested changes, and wait for your final approval to send it to Kiss Books for printing. The design process takes 3-4 weeks. Kiss Books takes about 14 days to manufacture it. Shipping takes an additional 14-21 days depending on the destination and customs. The entire process generally takes 8 weeks. Kiss Books, creates elegant, timeless, beautiful photo books that will accentuate the beauty of your wedding pictures and last generations. Founded by photographers for photographers. Among photographers, they are known for artisan, high quality, hand-crafted photo books, made by experienced professionals. For more information, visit: http://kiss.us/books. Kiss Books uses RA-4 photographic printing on Fuji Crystal Archival paper with a luster or matte finish. These are not “press prints”; they use photographic paper. Fuji Luster paper has a subtle gloss, rich color saturation, and high contrast. Fuji Matte paper has no glare, is easy to view from all angles and under all lighting, it does not show fingerprints, and has an augmented texture, and lower contrast. 1 spread is 2 opposing pages (see picture below). 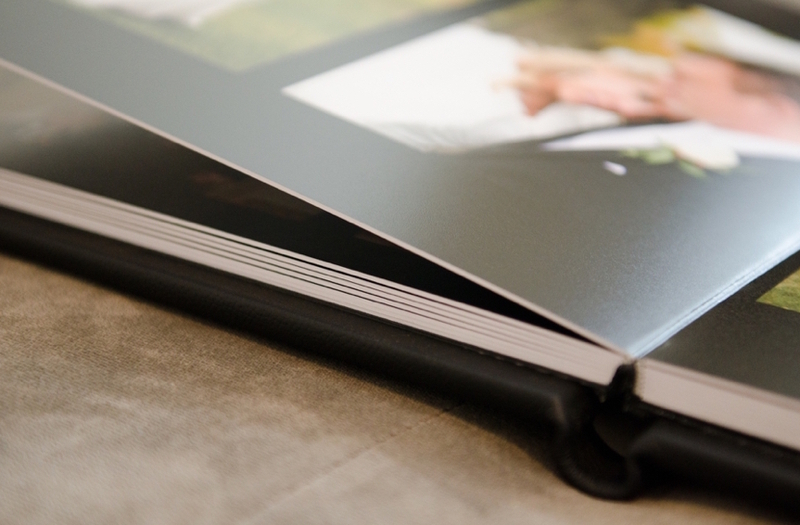 A spread in a 12" x 12" photo book accommodates 1 to 18 photos. · 4" · 8" · 10" · 12"
What better way to remember your wedding day?